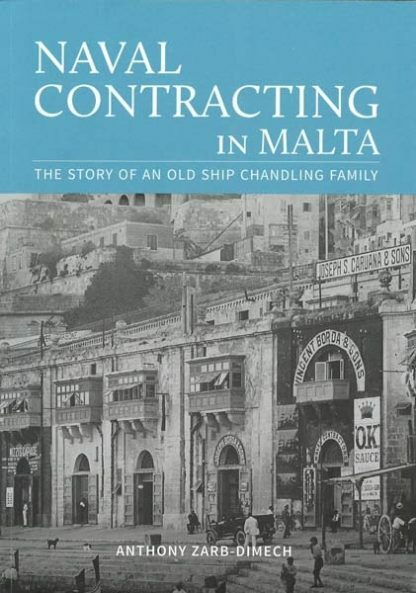 Ship chandling activities have enjoyed a long-standing tradition and reputation in Maltese maritime history. 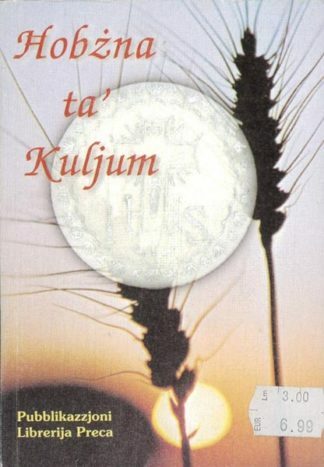 During the late 19th century the Bordas, Mizzis, Grimas and others were synonymous with this trade providing work for hundreds of Maltese workers both on land and on sea. Malta has also been considered as a site of great strategic maritime importance, especially in the areas of victualing, re-provisioning, ship chandling and naval contracting. 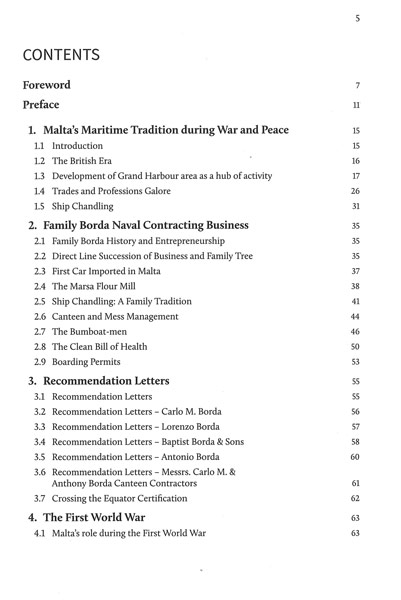 Malta served as a supply station for the navies of different maritime empires. 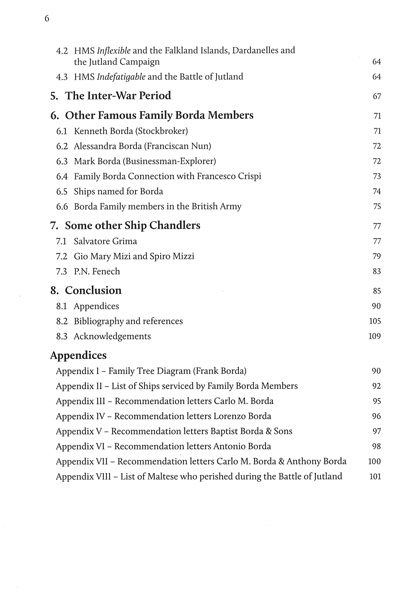 This aspect has often been ignored and not treated in-depth in publications on Maltese maritime and naval history. When the NAAFI took over the supply and victualing of naval ships in 1918, this tradition faded out and ship chandlers went out of business and were constrained to diversify into other economic activities. This book concentrates on one such family of ship chandlers and naval contractors: the Bordas, who hailed from Kalkara.